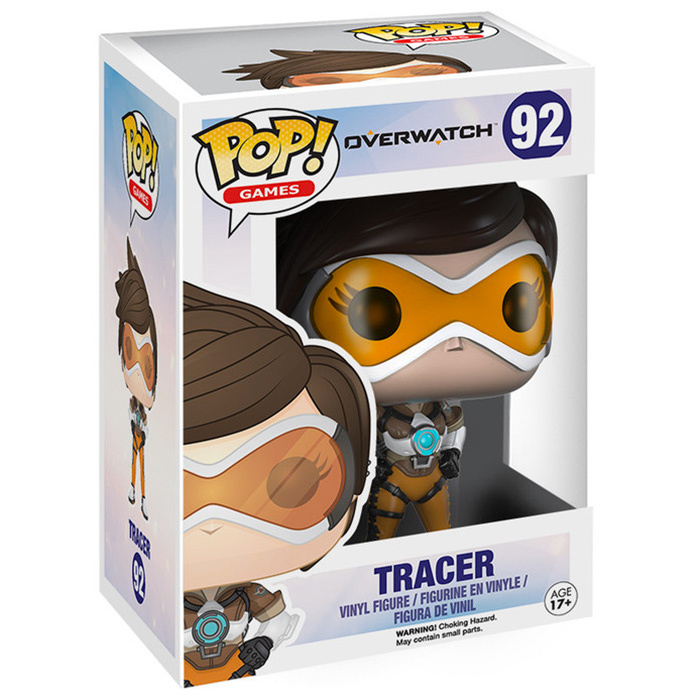 Are you interested in the Tracer pop (Overwatch) Funko Pop figure ? 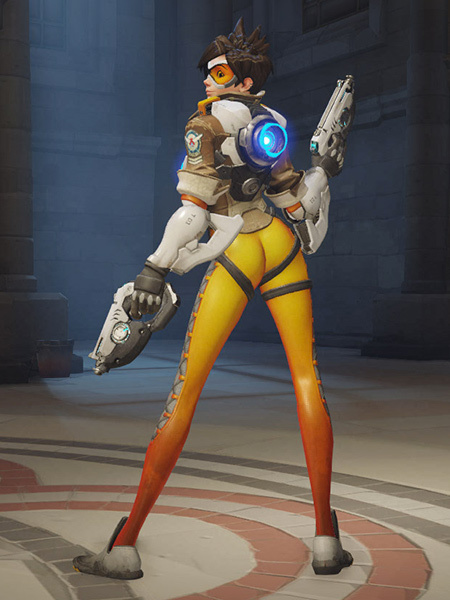 Tracer is one of the playable characters from Overwatch, the first person shooter game developed by Blizzard studios. In a futuristic world, a terrible war involving robots against humans was finally ended thanks to the heroes of the elite group of Overwatch. But when new dangers start to emerge, Overwatch will have to reassemble. In game, two teams of six players have to fight each other in an arena to win the game. 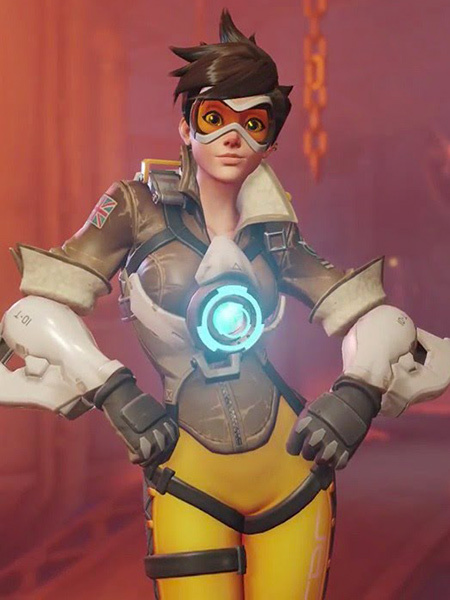 Each character has a very definite role to play in it and Tracer is an attacker. She is especially fast and mobile since she has to capacity to teleport and go back in time. 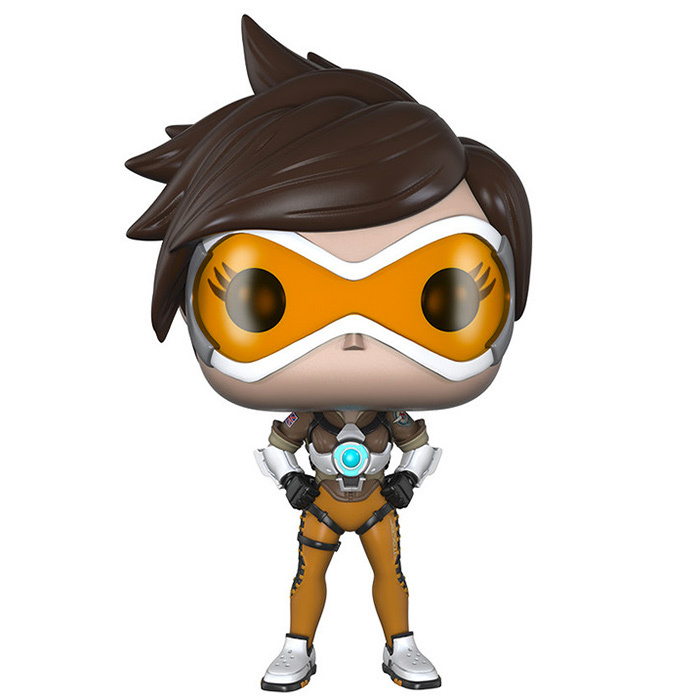 Like she does in the game, on this figure Tracer is also wearing a yellow overall with a kind of retro look to it. With that she's also wearing white shoes and some kind of white armor around the arms. On her chest, she's holding a source of energy with a blue light on it that's nicely done by Funko on her figure. On the head part, you can of course see those big yellow glasses as well as her short but quite big hair that's very typical of the character.